While certain poses do require a significant amount of flexibility, there is no “flexibility requirement” for practicing yoga. It does not matter if you can touch your toes in a forward fold. It does not matter how high you can lift your back leg while in dancer pose. What matters is that you show up on your mat ready to do your best and meet your edge–wherever that may be. There are variations to every pose–including the ones that might typically be associated with a higher level of flexibility. In a yoga class, the teacher tends to offer several options of of one pose. You choose how best to practice that pose. There’s another misconception that yoga is only meant for people of a particular age range–namely, people in their teens, twenties, or thirties. But, that is false. Yoga is open to all. And that includes people of all ages. A 2016 Yoga in America study, conducted by Yoga Journal and Yoga Alliance, found that only 19% of practitioners fell between the age range of 18-29 years old, while 38% were 50 or older. Yoga is available for all sexes, genders, gender identities, and gender expressions. In the U.S., there’s a tendency to pigeonhole yogis into a particular type of demographic. However, this is incorrect. Yoga classes across the country are filled with–and taught by–all different types of bodies. The 2016 Yoga in America study directly disproves this particular myth, demonstrating that men do practice yoga. In fact, an estimated 10 million men in the U.S. alone practiced yoga in 2016. This is a 6 million person upswing from 4 million male yoga practitioners in 2012. 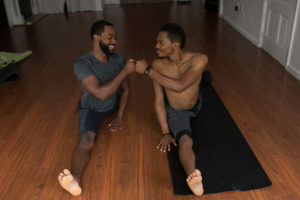 If this pattern continues then there will be a steady yearly increase of men practicing yoga across the U.S.
Another commonly held belief is that yoga costs too much–in terms of both time and money. There are no time requirements for yoga. While some people attend multiple classes a week, others may only go to a class a few times a month or even less. The ability to get on the mat and to be away from the stress and noise of everyday life–especially in a bustling city like D.C–is what matters most. Not the number of hours you spend each week in the studio. 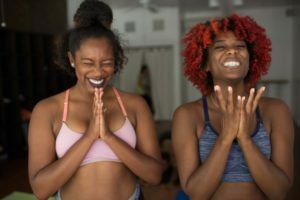 When it comes to cost, many yoga studios provide options to make yoga as accessible, available, and enjoyable as possible. For example, like many other yoga communities, Yoga District has a work/study program that allows people to volunteer in exchange for free, unlimited yoga. Yoga is an ancient practice. It’s been found to have a myriad of potential health benefits including: lowering blood pressing, decreasing stress levels, improving sleep quality, and more. 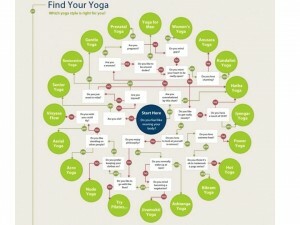 Find yoga classes & styles that complement your practice. 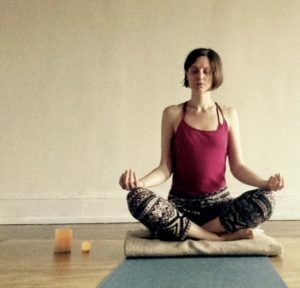 Beyond that, while there is no singular definition of yoga, the word most often translates to “union” and centers on a concept of connectedness. Yoga calls for the connection of the body to the breath, the mind to the spirit, and the individual to the community. Hopefully, if you’ve allowed any of these common myths to deter you from taking a yoga class, you’ll reconsider. The only way to truly know if yoga is right for you is to try it out yourself. Check out the Yoga District class schedule to find the class that works best for you.